Vegas is big on fun but you don’t necessarily need a big budget in order to make the most of it. If you play your cards right (excuse the pun!) Vegas can be seen on a shoestring. 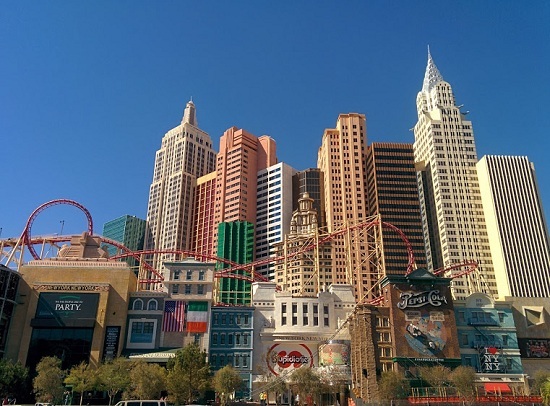 Travel blogger Jayne Gorman shows us how it's done with this budget guide to Las Vegas! The first way to save money is to place bets. This may sound counter-intuitive but if you are placing bets in the Vegas casinos your drinks are free – you just have to remember to tip. It doesn’t matter how much you are betting so you could be placing $1 bets on the slots and still be entitled to a free drink. Those playing at the card tables tend to get better and faster service but a top tip we received from our taxi driver is to head to the card machines embedded in the bars. 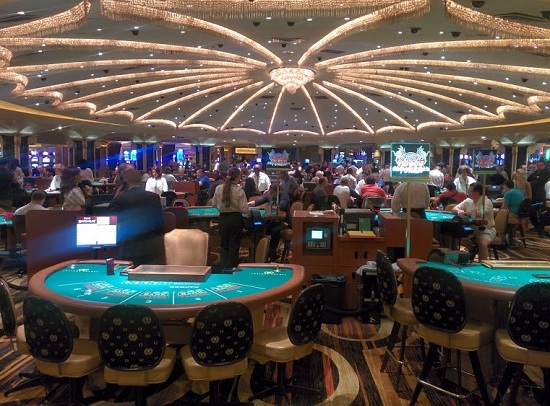 If you are playing here you will get served immediately and still don’t need to pay in most casinos. Watch what other customers are doing to get an idea of the individual resort’s rules. The Vegas hotels don’t do buffets by halves. All the major resorts will have at least one restaurant running an all day buffet. The all-you-can-eat spreads average $35 per head for dinner and really do contain all you could ever possibly eat in one sitting. The buffet at the Village in Paris is particularly popular for its fresh crepe stand and endless supply of pastel-coloured macaroons. Look out for drinks offers too. At Paris you can add on an all-you-can-drink voucher for $12 per person which includes champagne. At The Mirage the buffet fee includes limitless beer and wine. Each of the major resorts on the Strip has their own individual theme or offer that they use to try and lure in more guests. I was sceptical about the quality of some of the free shows in the resorts before I saw them, but was literally blown away. 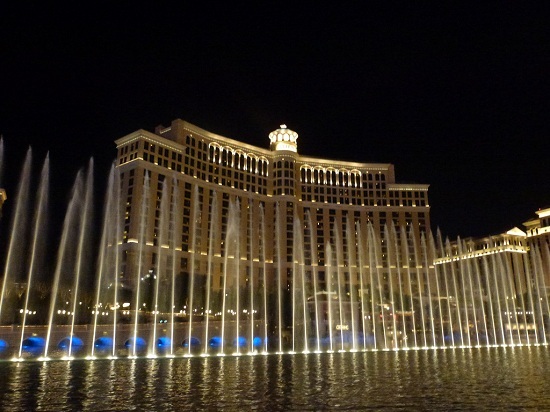 The frequent fountain display at the Bellagio, for example, is the most impressive water display I have ever seen in my life. Set to music it was as if the water jets were dancing in front of us. At Circus Circus they have free circus acts every 30 minutes every single day of the week. We took a seat in the circus tent-like casino to watch the Russian Bar and were wowed by their acrobatic skills. One event we didn’t get to see but heard many people praise was the volcano eruption at The Mirage which happens every evening. I guess there is always next time.. Downtown offers something different in the Fremont Street Experience. The glittery lights of the old casinos are offset by the laser and light show that takes places on the ceiling of the covered walkway. The area is also filled with street acts and market stalls which make it a fun area to roam. Plus it’s all completely free of charge. Vegas isn’t known as an adult Disneyland for nothing. At New York New York you can ride the Big Apple roller coaster all around and over the hotel complex. It offers breath-taking views of the Strip and an adrenaline rush to the head for the bargain price of $14. At the Adventuredome at Circus Circus you have the choice of two roller coaster rides priced at $10 each. The newest ride is El Loco, which boasts gravity-defying 90-degree drops, or you can ride the world's only indoor double-loop, double-corkscrew roller coaster called the Canyon Blaster. If you’re as much of a big kid as me, though, you’ll do them all! If your luck (and cash) seems to be running out in the casinos then it might be time to hit the road. 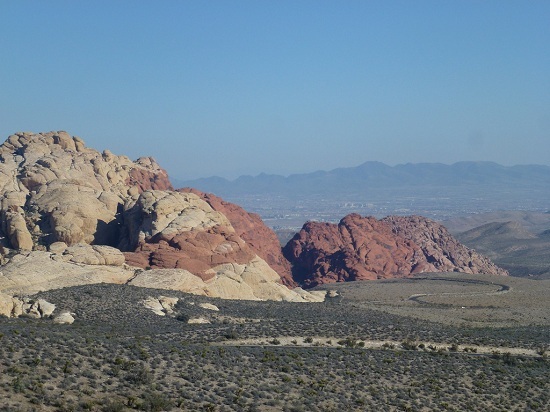 Just a 20-minute drive from the Strip is the Red Rock Canyon Scenic Drive, which for $7 per vehicle delivers exactly what it promises. The Scenic Drive is peppered with viewing platforms and various hikes so pack sensible shoes and explore the local landscape. You could also make a visit to one of modern man's marvellous engineering feats - the Hoover Dam. An approximately 40-minute drive along the highway from Las Vegas the sheer scale of the Dam cannot fail to wow you. For $15 you can take a tour of the plant and learn more about the Dam’s construction as well as how it generates water and electricity for the surrounding cities. Vegas can certainly be visited on a shoestring budget but whether you choose to stick to it or not is completely up to you! If you fancy trying your luck in Las Vegas, or perhaps sunning yourself in Los Angeles, take a look at our USA holiday sale, with prices from just £499!